An Australian supermarket chain, Coles, will stop selling a brand of honey that is partly sourced from China and Argentina, saying it wants to support Australian production in its ‘Australia first’ policy. In a statement, Coles said it will stop selling the low-end Allowrie brand under Capilano Honey. The product contains honey sourced from China and Argentina, depending on the batch. According to Allowrie labels, the product contains 30 percent Australian honey. Coles’s statement said that its own-brand honey was “100 percent Australian” and that Coles is “proud to support Australian producers and the work of Australian beekeepers,” Reuters reported. Ben McKee, Capilano’s managing director, said the company has been working with Coles on a replacement product. “Coles is a key business partner of ours and we have worked with them to replace the Allowrie brand with a range of new product innovations in Capilano brand that are 100 percent Australian honey,” he said, adding that all Capilano-branded products contains 100 percent Australian honey, Sydney Morning Herald (SMH) reported. McKee added that Allowrie products have not been the subject of any quality complaints or recalls. Woolworths, a rival of Coles, said it will be keeping the Allowrie brand on its shelves. “Woolworths is a big supporter of Australian honey, with around three-quarters of the range available on our shelves consisting of 100 percent Australian grown honey,” a Woolworths spokesman said, SMH reported. “Allowrie is a good quality product, offering an affordable price point for consumers on a budget. It has proved a popular choice for consumers, particularly families, and will continue to be offered as part of our broader honey range,” he added. Founder of Beechworth Honey, Jodie Goldsworthy, said Coles’s decision was “a win for Australian consumers and Australian farmers,” SMH reported. “Any day that has more Australian honey and less imported honey on Australian supermarket shelves is a good day,” Goldsworthy said. 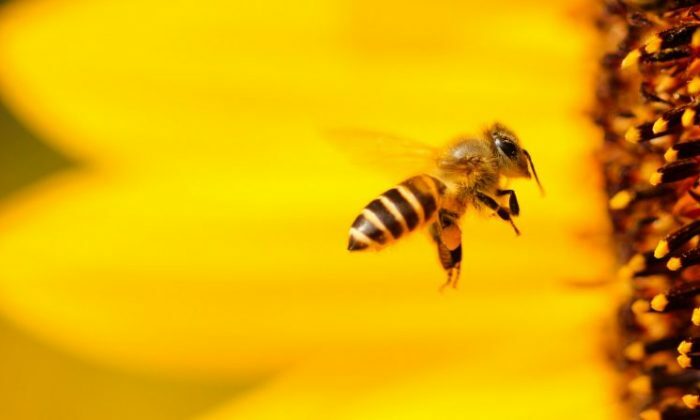 The Australian Honey Bee Industry Council (AHBIC) has not commented on Coles’s recent move, but has previously raised concerns about imported honey. In 2008, AHBIC called on the Federal Government to safeguard the reputation of Australian honey producers, after a scam that involved honey imports from China surfaced, The Age reported. Stephen Ware, AHBIC’s executive director at the time, said quarantine officers cannot check every batch of Chinese honey entering the country, but that importers had been warned that royal jelly from China could be contaminated. Ware said that unscrupulous Australian health food distributors had been relabeling contaminated Chinese-imported honey as “Australian-made” or “Product of Australia” and then exporting the products to Asia and Europe, The Age reported. He said chloramphenicol had been detected in such honey. Chloramphenicol is an antibiotic used to treat serious diseases in humans, including typhoid fever, but it is specifically prohibited in food-producing animals in Australia. In rare cases, the antibiotic can cause a life-threatening blood disease known as aplastic anaemia. In 2002, the European Union, Britain, and the United States had banned all honey imports from China, after finding samples of its honey contaminated with the antibiotic chloramphenicol, CHOICE reported. As for Argentine honey, the Sun-Herald uncovered in 2003 an overseas testing that found honey from Argentina was contaminated with nitrofurans—another antibiotic. Nitrofurans is also banned for use in food-producing animals in most countries, because prolonged use can result in an increased risk of cancer. Another issue with regard to imported product involves honey that is not really honey. In June 2014, the Australian Competition and Consumer Commission (ACCC) fined a food distributing company Basfoods $30,600 over its honey product name, Victoria Honey, when it was actually imported from Turkey—testing of this “honey” found it was actually all plant sugars. Later in 2014, the ACCC again fined another Turkish ‘honey’. Bera Foods received a fine of $10,200 for using a map of Australia on its product label, which later was found to comprise mostly plant sugars. McKee told the ABC in 2016 that for Capilano, its namesake brand is 100 percent Australian honey. “The company does import some honey from accredited international suppliers for use in supplementary brands such as Allowrie,” McKee said, ABC reported. “All imported honey is comprehensively tested and meets the same rigorous quality assurance standards as honey produced in Australia,” he added, referring to the strict standards by Food Standards Australia and New Zealand (FSANZ). Capilano said on its website it had never failed this quality screening, ABC reported. From July 1, all packaged food exported to Australia must comply with the Country of Origin Food Labelling Information Standard 2016. In July 2016, a two-year transition period was enacted for manufacturers to start complying with this new standard, which ended June 30 this year. Under this requirement, food products like blended honey, which includes imported ingredients will need to show a bar chart to indicate the percentage of Australian ingredients. For Australian grown, produced, or made food, the label will show a kangaroo with a standard phrase that it was grown, produced, or made in Australia. Previously, labels such as “made with Australian and imported ingredients” had consumers complaining to ACCC that it was unclear. “In compliance with legal requirements, any products blended with imported honey are clearly labelled to ensure customers are informed. In accordance with new labelling laws, Capilano is in the process of updating its packaging to include the required information as specified under the country of origin food labelling reforms,” McKee told CHOICE in 2016. Regardless of the origin, AHBIC continues to ensure that honey products on the shelves aren’t phoney.